Cannes is famous for its internationally renowned festivals that draw visitors to its glamorous harbour. The Cannes Yachting Festival 2016 will be no exception. As one of the largest in-water boat shows in Europe, it’s a hugely important event for the yachting industry. 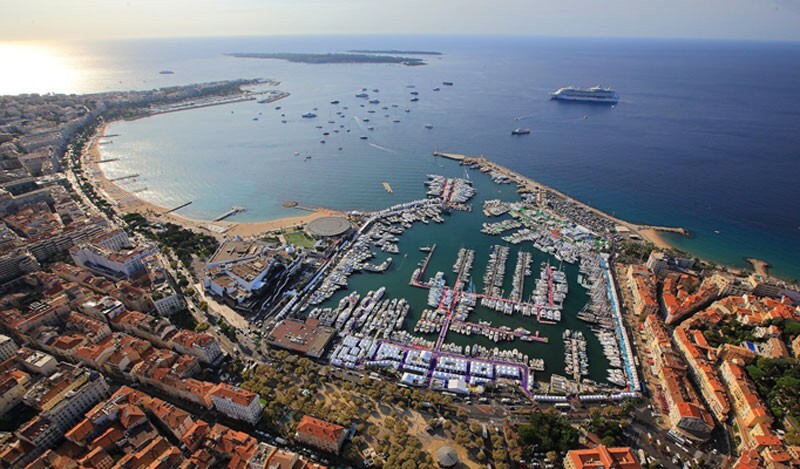 This year is the 39th edition and more than 550 superyachts are expected to fill up the majestic Bay of Cannes, including more than 100 premieres of the finest new vessels. All manner of yachts will be on display, ranging from 6m tenders to 52m superyachts of the highest quality. The event takes place from 6th to 11th September 2016. 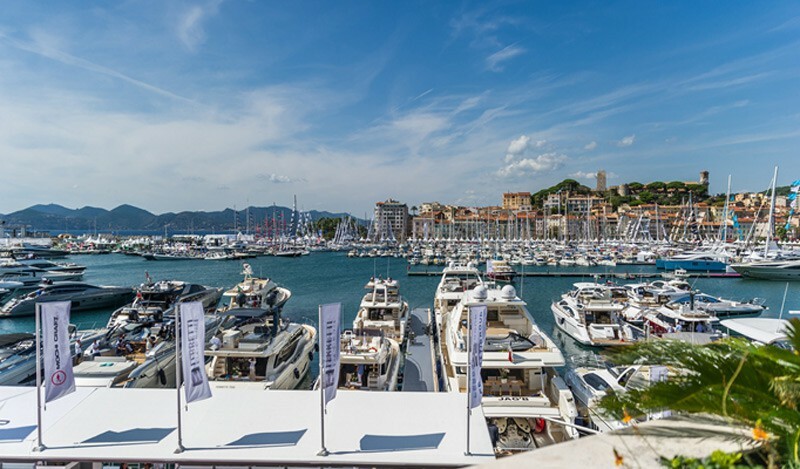 Both Le Vieux Port and Port Pierre Canto, located at either end of the famous Croisette of Cannes, attract many visitors, exhibitors, owners and buyers. The majority of yachts will be available for sea trials for potential buyers, giving enthusiastic visitors a chance to take the helm of a luxurious yacht before deciding whether to buy it. 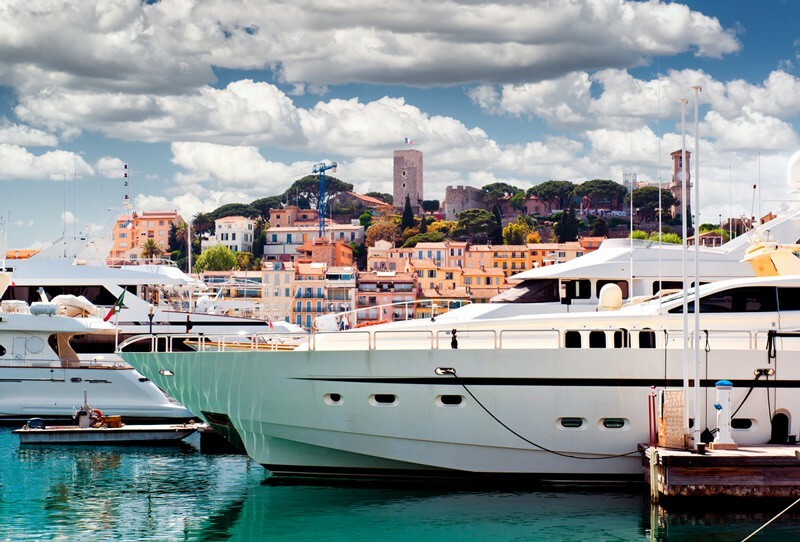 Cannes’ location in the heart of the Mediterranean, along with its timeless appeal, makes it a wonderful place to view the finest vessels on the market, compare the competition and plan a yacht charter in France. 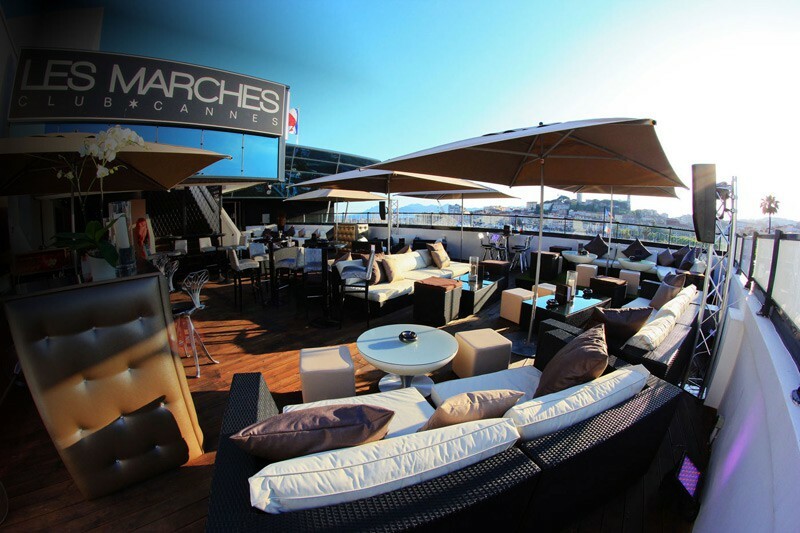 Key players from the yachting industry will have the chance to network along the quays and pontoons, as well as at exclusive gatherings, such as those held at Les Marches – a panoramic restaurant and VIP club on the roof of the Palais des Festivals. This venue is a private exhibition area for luxury yachting stakeholders, and it capitalises on the prestige of its Croisette location. 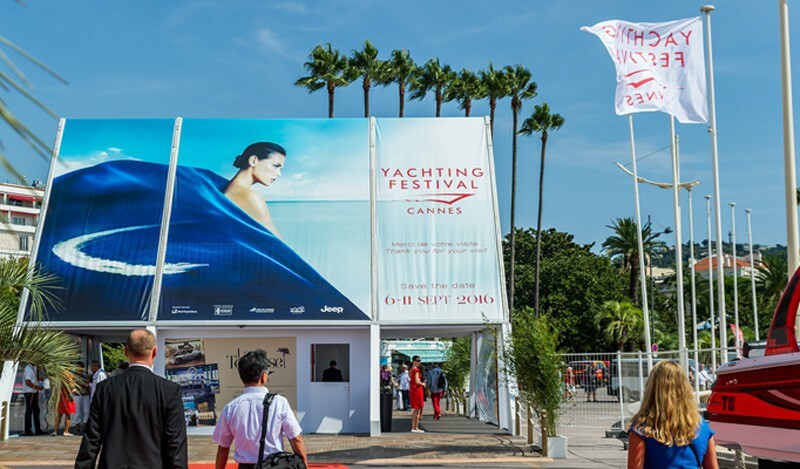 The clientele at the Cannes Yachting Festival (also known as Cannes Boat Show) is diverse and discerning, so you can expect plenty of representatives from top-of-the-range yacht brokerages, shipbuilders and equipment manufacturers. Last year 50,101 visitors attended the 6-day event, including 25,000 people from far-flung parts of the world. There will be 300,000m2 of exhibition space available and a combined total of 10km yachts. These yachts will be serviced by floating docks that are equipped with a motorised central section, which opens to enable visitors to move freely around the port. An exhibitors’ reception is traditionally held on the Friday of the event at 8pm for all those with a ticket. It’s a relaxed place to meet exhibitors, industry insiders and crew members. For those wishing to visit the event in ultimate style, with access all areas privileges, there will be two VIP packages available: the Riviera card and the VIP card – both of which are available for either one or six days and entitle two guests to admission and a range of luxurious privileges. Entrance to the show via the VIP entrance at the Palais des Festivals. A personal guided tour of the show on a tender. Priority access to the yachts on display. Transfer between the airport and Cannes by helicopter or a helicopter tour of the Lérins Islands. Lunch at the Panoramic Restaurant for two people. Priority use of a courtesy car service. Access to the VIP water shuttle service that links the two ports. Access to the event’s VIP Club. Full use of the event’s concierge services. The use of the event’s courtesy car service – subject to availability and limited to four transfers for the 6-day card. Cannes Boat Show is holding its 2nd Concours d’Élégance – a contest for motor and day yachts under 12m on Thursday 8th September. Originally launched last year, the contest consists of a presentation aboard an elegant boat with four crewmembers, including at least one woman. It’s a real highlight of the festival and is the ideal way to celebrate vintage and modern crafts, as well as Cannes’ rich sailing tradition. For tickets, opening times and transportation advice check the website’s page on practical information. Info sourced by the author exclusively for LuxuryActivist.com. All content is copyrighted with no reproduction rights available. Images are for illustration purposes only. Cannes Film festival, when stars “reveal” themselves.